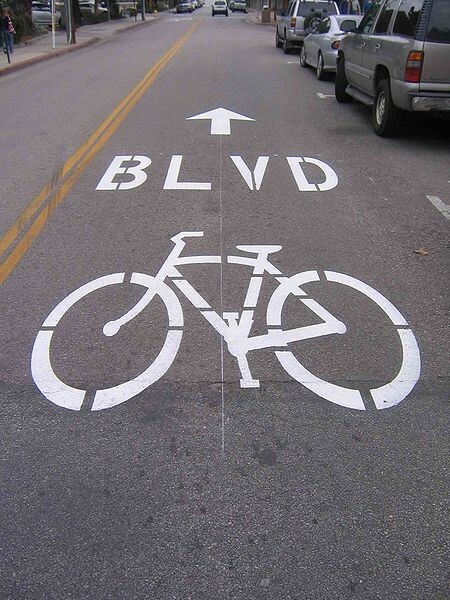 The Chicago Department of Transportation and the City of Chicago are currently working on a pilot program for the city's first bicycle boulevard, and are soliciting suggestions for possible locations. Bike boulevards, according to bicyclinginfo.org, are "low-volume streets that have been optimized for bicycle travel through traffic calming and diversion, signage and pavement markings, and intersection crossing treatments." They're shared roadways, usually in residential areas; Streetsblog Portland has a video about a bike boulevard where the "traffic calming" measures include speed bumps, traffic circles, and turning laws that divert most motor vehicle traffic to other routes.